Webcampak is equipped with an advanced permissions management system, groups being an important portion of the overall appliance. 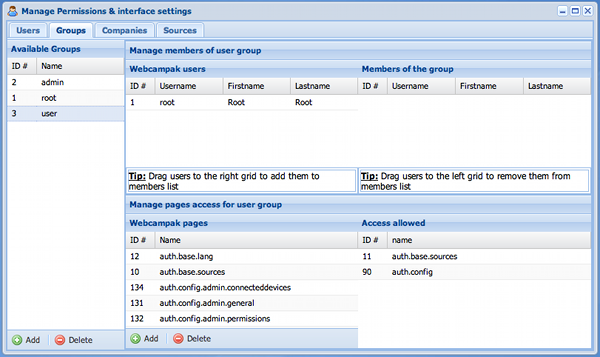 If you click on group name you can configure group members and group permissions. 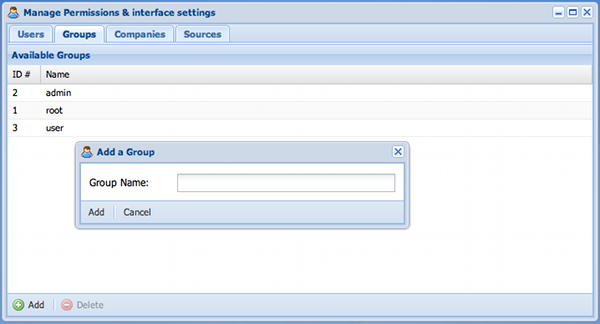 Using drag and drop you can add users within the group and define which pages and features can be used by group members.